Criss Cross Mangosauce is an edutainment venture founded in 2007 to foster children’s love for languages, cultures and arts. 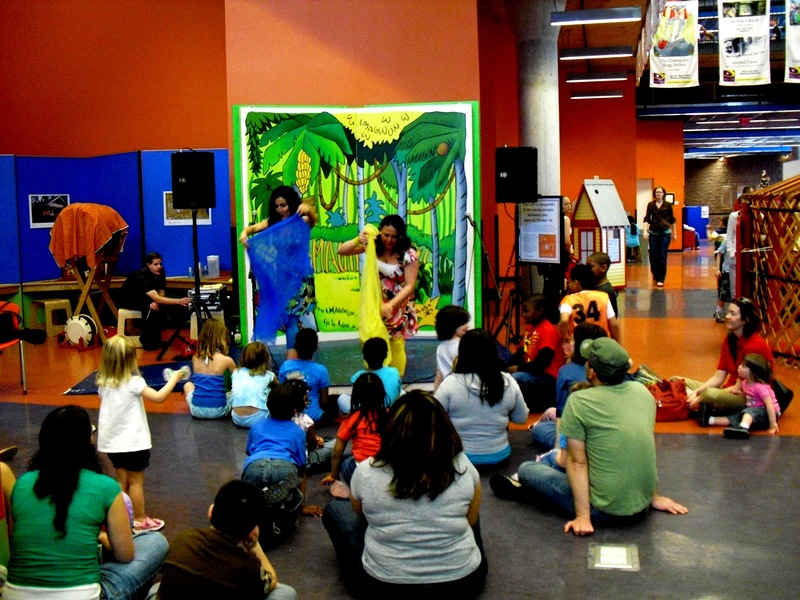 Criss Cross Mangosauce offers bilingual (English/Spanish) programs, products and resources for libraries, schools and families interested in raising bilingual and globally minded children: Bilingual CDs; educational performances; and workshops for educators, librarians and families. The concept was created by Irania Patterson (Children’s author, Storyteller and Educator) and Ana Lucia Divins (Singer-Songwriter and Multicultural Marketer). These two Latina moms, performing artists and educators are passionate about fostering children’s love for languages, cultures and arts. 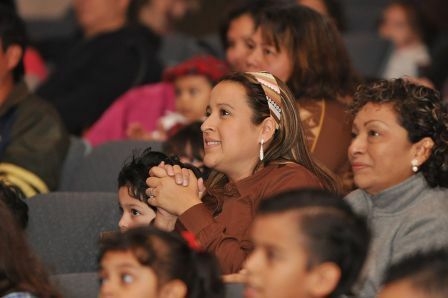 Inspired by their own experiences raising bilingual children and working with bilingual audiences for many years, they share with others the richness of the Hispanic heritage and Spanish language using their combined artistic talents. Today, the Criss Cross Mangosauce team is comprised by a group of six talented bicultural and bilingual musicians. 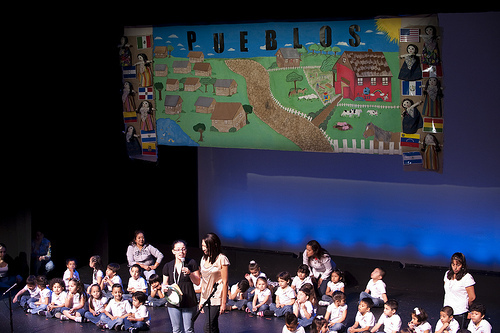 This group of artists/educators introduce Spanish language and Latin culture in a fun and educational way using a combination of original music, stories and drama. Criss Cross Mangosauce also believes in the power of the performing arts to provide authentic linguistic and inter-cultural experiences that eventually will foster a more inclusive society and will open minds to other cultures and languages. Criss Cross Mangosauce offers a family friendly answer to the growing need for bi-cultural educational programs, considering the fast growth of the Hispanic population in the US. These high energy and engaging programs promote cross-cultural understanding as well as the development of language, motor and literacy skills.